"Summer Suppers" is our new intergenerational, bilingual summer program designed to provide worship, learning, and community to our diverse congregation and neighborhood in July and August. Whatever makes summer feel like "summer" to you, be it weekend trips, family picnics in Central Park, late afternoon walks, or iced tea--we hope you will join us in this new summer tradition of gathering for evening supper and worship with people of all ages, speaking both English and Spanish, followed by Bible study groups ranging from small children to adults. 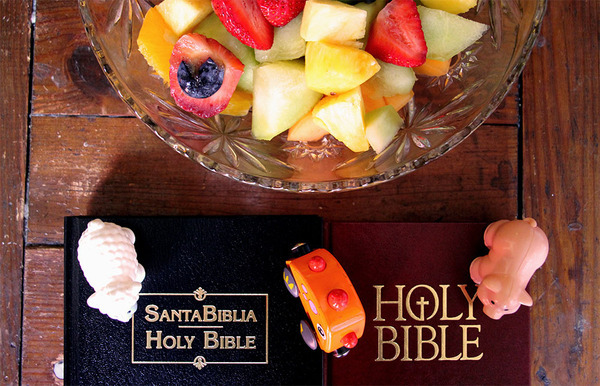 Join us for six Wednesday evenings beginning July 6 and concluding August 10. Program fees are minimal and scholarships are available, but all participants are asked to register so we know how to prepare. Registration is now open! Last chance to register for this rejuvenating weekend away with a community of faith. Free this weekend? Why not spend a weekend away at our Congregational Retreat at Koinonia Retreat Center. Hiking, canoeing, farm animals, campfires, Bible study, and a talent show are just few aspects of this annual retreat. Last chance for May's "Mission of the Month," our Scholarship Fund! As May comes to a close, we'd like to highlight one more recipient of our Scholarship Fund. 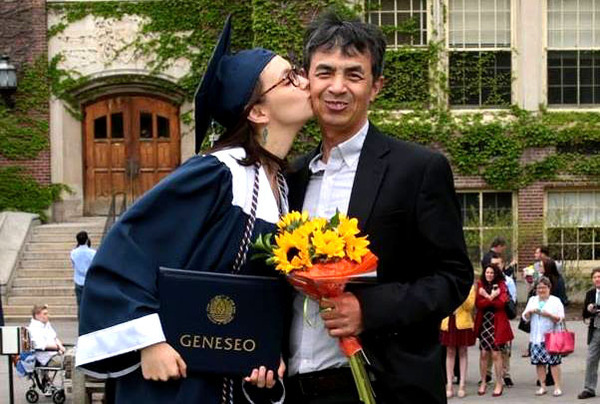 Christina Lu just graduated from State University of New York at Geneseo. She's pictured here with her dad on graduation day. Christina's mom, Ann Ofstedal, passed away tragically and suddenly several years ago; and Christina, her brother, Dustin, and her dad have soldiered on in the face of this sudden and terrible loss. We hope the support we've been able to provide as their faith community has helped in some small measure. Our Scholarship Fund, at the very least, helped Christina become a first generation college graduate on her father's side. Christina told us, "Thank you Advent for supporting me throughout the years, for investing and contributing to my successes! I couldn't have done it without you, and for that I am forever grateful." Please consider making a donation to support more students and their families with the costs of higher education. Current college students, applications for the next round of scholarships are now available at worship, in our office, in this e-letter, and on our website. The application deadline is coming up on June 3--don't miss this opportunity! We're hosting a top-notch concert to raise funds for a new Steinway concert grand piano in our sanctuary. 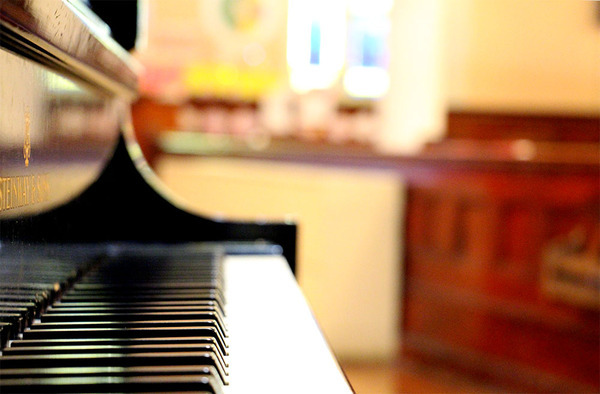 At 7:30pm Monday, June 13 three astounding musicians in the Advent community will present a concert launching a campaign to raise money for our new piano. Click here to read the full story about this special concert and our new piano in our last e-letter. 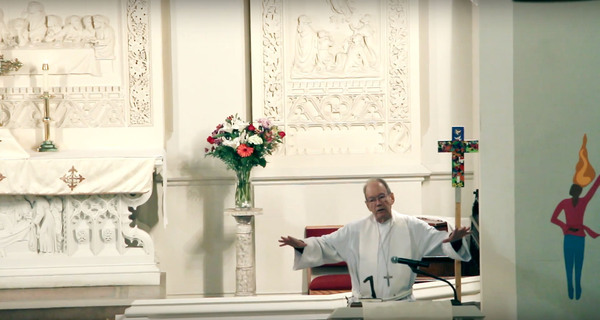 We're starting to record videos of our sermons to share with the world online. Great preaching has always been extremely important to this congregation. Now that preaching has a wider audience. Here is a first take of what our sermons will look like to the World Wide Web. Gospel Text | Luke 7:11–17: Jesus raises a widow's son from the dead. Sunday School | Our regular Sunday School leaders, Jessica and Kevin, will be with the families at the Congregational Retreat at Koinonia this weekend. Our incoming Sunday School coordinator, Zachary, will lead activities from 10am-11am here at Advent.